Who doesn’t like cats and dogs? Lets us combine the love for these animals and deep learning by making a deep learning network to classify cats and dogs. Today, we will be going to train a Dogs vs Cats Classifier in PyTorch using Transfer Learning. This post will be a point to start for anyone trying to get into Deep Learning. If you are new to the field of Deep Learning be sure to check out my introductory articles on Deep Learning. The classifier doesn’t use many sophisticated methods with all their bells and whistles but instead, we use transfer learning for an easy understanding of the model used. The main ambition of neural networks is to mimic the performance of the human brain, but the human brain is in itself a very complex organ about which we still are much unaware of. The complexity of the brain is so much that the human brain can be easily said to be the most complex system that we had to evaluate. Its complexity can be demonstrated by the fact that we have 125 trillion synapses in our cerebral cortex alone, which is approximately 1000 times the number of stars in our galaxy. The human brain is a highly efficient parallel processing machine. Its ability to function well different problems that vary in slight nuances is what makes the brain generalise well provides it with the ability to solve similar problems. This ability of the brain to use the knowledge gained in solving a problem to solve another similar problem prevents it from learning every task from the ground-up. When we try to imitate the human brain, this is one of the qualities of the brain that we must port to the computers. Transfer learning or inductive transfer offers us some way to implement this. According to Wikipedia, Transfer learning or inductive transfer is a research problem in machine learning that focuses on storing knowledge gained while solving one problem and applying it to a different but related problem. This technique allows us to use the knowledge that we have learned from solving a problem in the past to solve a similar kind of problem in future. Computationally efficient to train a model using transfer learning, than to train a whole new set of weights from scratch. Data sets of large size are required for the deep learning model to generalise well. But, for all problems, we might not have access to large datasets. So, weights obtained by training the model in similar data can be reused and trained upon. 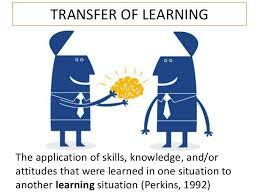 Transfer Learning is an interesting topic on its own and much resources can be found online. But CS231n’s notes on transfer learning is quite precise and well-written. Here we will be focusing more on how to train a basic network transfer learning. We will be using the PyTorch framework. We will be taking more of this framework in future posts. So, let’s get started. To perform transfer learning, we are using a well-known convolutional neural network ResNet-18(https://arxiv.org/abs/1512.03385). This is a 18-layer recurrent neural network that would have taken much time if trained on a normal system. Here, the model has been trained using the 1000 classes of ImageNet dataset. So, it is expected to work well for our dogs vs cats classifier since types of dogs and cats are included in the imagenet dataset. We are using the data set provided by Kaggle in Dogs vs Cats. The data set contains 25,000 images of dogs and cats for training. This data is extracted into data folder containing two folders train and test. The train folder is again divided into two folders cats and dogs. If gpu is available we will use it to accelerate our training process. Now lets define our function for model training. Now, lets us tune the parameters. Now, everything is set. Lets us run the program to train the model. Here is the output that we got for some of the early epochs. Even the initial results are quite promising. These are the results that we obtained on testing with some of the random images of cats and dogs. An interesting tutorial for the classification of Bees and Ants can be found at http://pytorch.org/tutorials/beginner/transfer_learning_tutorial.html. I wish you would talk more about inference performance, performance optimization, and is it me or the kaggle image data has issues in it? mine does not download them in appropriate folder(only one folder gets downloaded). an excellent write up none the less. Thank you. Thanks, Jerricho :). It seems now the train and test are two separate downloads. Nonetheless, you can access both of them from the same page. A post on performance optimization is coming up soon.